The High Court has ruled that the gist of sensitive evidence in a case involving a child being picked up for being spotted with an “inappropriate adult” must be disclosed in order that the child can bring a claim against the police. The case is probably the first to follow the significant restriction of the use of secret evidence resulting from the Al Rawi decision (see our previous post), in which the Court of Appeal rejected a request by the Government that evidence in a torture compensation claim be kept secret from the public, and emphasised that the interests of open justice would be seriously compromised if this kind of request were ever granted in a civil case, even in very limited circumstances. The facts are slightly convoluted due to the veil of anonymity which has been pulled over the case, for reasons which will become clear. 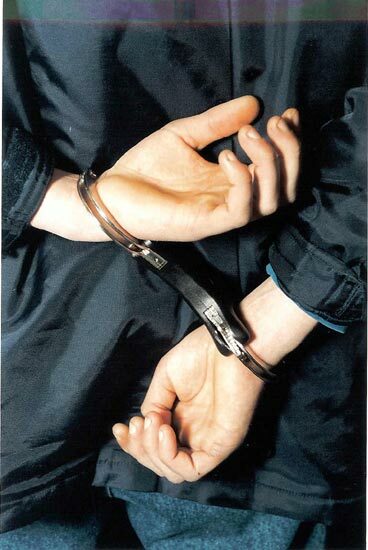 “A”, a 16-year-old child, was arrested whilst out with his friends in Bournemouth. The police searched the group for alcohol and drugs but found none. Later that evening, they took A for a fast food restaurant to a safe centre, not because he had done anything wrong, but rather as he had been seen with an “inappropriate adult”. The police would not give A or his parents any more information as to the circumstances of the arrest. A brought a Judicial Review against the police, arguing that his/her rights under Article 5 (right to liberty) and Article 8 (right to privacy) had been breached by his removal into police custody. The Police argued that the removal was in accordance with the powers under Section 46 of the Children Act 1989 which allows them to remove and accommodate children in cases of emergency. The intervener, known as “B”, may well have been the “inappropriate adult” which the police say they saw . S/he objected to certain “sensitive” documents being disclosed to A and A’s parents on the basis that the disclosure was unnecessary for the judicial review and that it would have an adverse effect on B and his right to respect to private life under Article 8 of the European Convention on Human Rights. B applied for the information relating to him to be suppressed, arguing that the Judicial Review could be determined on its merits without the Claimant or his legal team having any further information about the reasons why the action was taken. Therefore, it would be possible for A’s right to a fair hearing to coexist with B’s right to privacy. 11. We have concluded that we should allow this appeal, and that we should say firmly and unambiguously that it is not open to a court in England and Wales, in the absence of a statutory power to do so or (arguably) agreement between the parties that the action should proceed on such a basis, to order a closed material procedure in relation to the trial of an ordinary civil claim, such as a trial and a claim for damages for tort or breach of statutory duty. 12. The primary reason for our conclusion is that by acceding to the defendant’s argument the court while purportedly developing common law, would in fact be undermining one of its most fundamental principles. In addition, even if it would otherwise be a legitimate development of the common law, it would be neither permissible in the light of the Civil Procedure Rules (“CPR”) nor practical in terms of effective case management or cost management to adopt the defendant’s proposals. Here the defendant wishes to explain to the court the reasons for the action and the material it relied upon as giving reasonable grounds to believe that those reasons existed. A court that fairly adjudicates upon the issue between the parties will have to examine the material and explain its reason by reference to that material. The claimant is entitled to know why the claim is defended and why it is decided the way it is. He went on to reject the use of the ‘special advocate’ system – where specially trained advocates present secret evidence to a judge in a closed hearing – in a case such as this, again on the basis of the Al Rawi principles. However, the judge did ultimately find that the full information available to the police, and which B was so concerned about, would not need to be shown to the Claimant. Rather, the “gist” of the information would be provided in order that A and his parents “know why he was being protected, what he was being protected from and why that protection took the particular form it did“. He would not be allowed to disclose this gist to third parties unless this was authorised by the court. The factual circumstances of this decision is not particularly remarkable. However, it is important as it brings into focus the importance of the Court of Appeal’s judgment in Al Rawi, which has provided judges with an important weapon against applications that evidence remain secret from parties to court actions. The principle which arose from Al Rawi, and one which has been hammered home on repeated occasions by the Court of Appeal under Lord Neuberger, is that it is a fundamental right for a litigant to know the case against him (for example, in terrorism cases involving sensitive intelligence), but also that a person is given enough information by authorities to allow him to challenge decisions which appear to have breached his or her fundamental rights. Difficult cases such as this one will inevitably arise, where the rights of two individuals come into conflict as a result of the proposed release of sensitive information. But the courts will now weigh this balance heavily in favour of a person such a A, who will always be entitled to know at least the gist of an authority’s reasoning for detaining him or her, or more broadly for infringing his or her rights.